I’m very excited – WE’RE GOING TO THE SEASIDE! If starting a jewellery line called ‘I Miss The Sea’, drawing a lot of wavey things and making a Pinterest board about it weren’t enough of a clue, let me categorically state: I love the seaside. Hot, cold, tide in, tide out, mud, pebbles, sand, sludge, I don’t care, let me at it. Although unless you’re a beachcomber too, you may not enjoy going for a walk along the shore with me – it can be quite hard for me to go more than a few paces without picking something up or crouching down for a prod. This all, however, is joyfully the purpose of this weekend’s trip to Charmouth Bay! I’ve managed to get some friends addicted to scouring the sandy, gravelly debris washed down from the cliffs on the Jurrasic Coast for pyritised ammonites, such as I use in my fossil jewellery, and I’m looking forward to bulking out my fossil inventory. Here’s where we’re headed, just a little around the coast from Lyme Regis itself, famous for all kinds of beasties and critters crumbling free from the cliffs, especially in yucky weather. 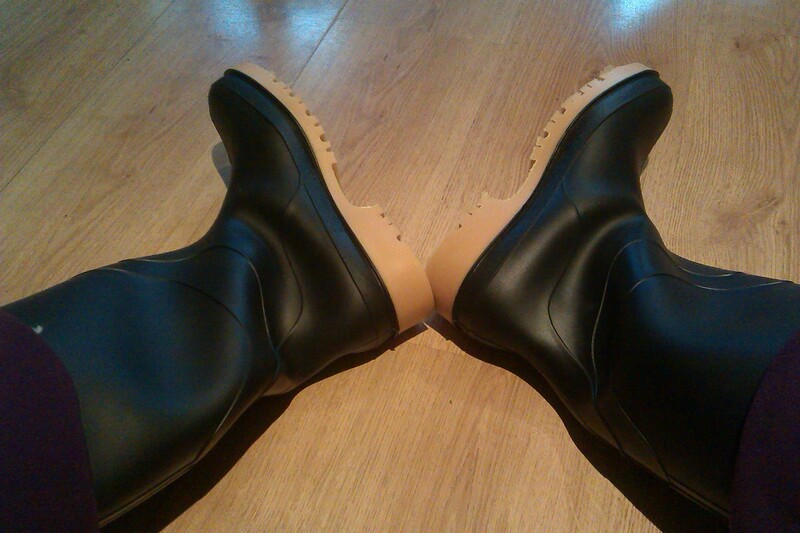 I’ve been pondering my fossil-hunting toolkit for the expedition, and will report back on same, but for now I’m just very happy that my expeditionary wellies have arrived, so I can frolic with impunity (and without punishing my poor hiking boots any further). Next PostNext Raspberry Parrot Pi Project begins!